Lauren Holliday is a full stack marketer with seven years of experience and the creator of the first course on full stack marketing. Ever wonder how startups with no marketing budgets pop up overnight? Old people would tell you it’s through sales and marketing. Shane Snow would call it smartcutting, and Sean Ellis would say they growth hacked. All of the above are correct, but growth hacking has become the popular term; therefore, we’ll stick with growth hacking. Growth hacking is how startups like Tinder grew from 5,000 users to nearly 15,000 users virtually overnight. It’s how Product Hunt became, well, Product Hunt and how Airbnb became Airbnb. The list of well‐known startups that utilized hacks to rapidly grow their user base is endless. From this post, you will learn how to leverage the 20 best known growth hacking concepts, tactics, strategies and scripts we’ve found to attract more users and earn more sales for your business. But first, let’s go over the basics. 1. What is a growth hacker? 2. How do you make someone think like a growth hacker? Task an engineer to solve the problem of acquiring more users from x, y or z platform or community. 3. What can a growth hacker do for you? Whether your startup or business is pre or post product/market fit (PMF), growth hackers will prove useful. NOTE: According to Sean Ellis, achieving product/market fit requires at least 40 percent of users saying they would be “very disappointed” without your product. If you’ve yet to reach this milestone, growth hackers can ensure virality is baked into your product. And for those of you who’ve already reached PMF, growth hackers can rev up the things you’re doing that’s working successfully. 4. Why is growth hacking so highly worshipped? Thanks to “super‐platforms,” like Apple and Facebook, startups now have access to more than 100 million consumers. This makes it very possible for new products to go from zero to tens of millions of users in a few short years. Consider the pufferfish. As a small, unintimidating member of the marine ecosystem, evolution forced it to develop a unique defense mechanism against larger predators. To compensate for its small size and lack of scary forehead tattoos, the pufferfish fills its elastic stomach with water to appear much bigger than it actually is. When trying to achieve rapid growth, many startups must appear much larger than they actually are in order to attract users. After all, who wants to go to party if nobody is there? 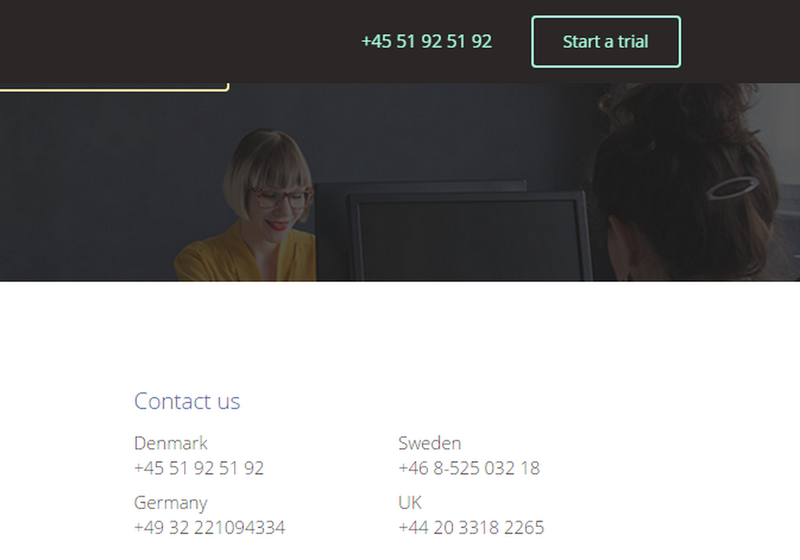 Pipetop, a Danish startup, harnessed their inner pufferfish by buying several phone numbers and displaying them on their homepage. This gave customers, as well as media and investors, the impression that Pipetop was a big company rather than a small startup. The transportation service Lyft approached the Fake It Hack from a different angle. In order to drive growth, Lyft needed to maintain an equilibrium between the supply (drivers) and the demand (passengers). Too many passengers and too few drivers would frustrate passengers. Congruously, too many drivers and too few customers would frustrate drivers. So Lyft faked it by inflating the supply side. They hired a large number of drivers and paid them an hourly rate to simply wait around for passengers. When passengers realized how many drivers were immediately available, the number of repeat customers skyrocketed. Successful marketers don’t just communicate with customers, they engage them. An engaged customer reacts to your product. They participate in its evolution by connecting with peers and conversing with brand representatives. They integrate your product and its values into their daily routine. One way to maximize customer engagement is to build a community around your product. For example, Unbounce, an application that simplifies the process of A/B testing your landing page, used their product as a jumping off point by creating the Unbounce Community, a forum where digital marketers can connect with each other. Now Unbounce is a destination for marketers rather than a means to an end. You only want what you can’t have. Whether it’s a video game, a love interest or forbidden fruit, the things that are just out of reach are the things we reach for the most. Cultivating an air of exclusivity creates a sense of importance, urgency and most of all, intrigue–a fact which many startups are using to their advantage. CargoCollective, the portfolio building platform for visual artists, requires users to apply for access. To join Ello, an ad‐free social network, an existing user must invite you. Quibb, a professional social network, only accepts 41 percent of applicants. Exclusivity taps into an insecurity we all have: the fear of missing out. Limiting the number of people who can sign up, become members, or order your product triggers an emotional response, and emotion can influence buying behavior more than logic. Don’t think of your competitor as an obstacle, think of them as an educational tool. To beat them, you have to learn from them. When mapping out your marketing strategy, reverse engineer your competitor’s strategy to establish what works and what doesn’t. Did their website traffic spike after they released a new ad campaign? What were their sales like after the CEO did a Reddit AMA? Did their bounce rate increase after they revamped their user interface? The answers to these questions can inform your own strategy. But to answer the questions, you’re going to need some tools. MOAT identifies ads by your competitors. Email Insights analyzes your competitors’ emails blasts. SimilarWeb shows you your competitors’ website traffic statistics. Google Advanced Search Operators sees where your competitors are getting their backlinks. Simply type “link:” and your competitor’s URL. When your product isn’t quite clicking with your customers, your first move might be to invest in further marketing and promotion. But this isn’t always the most prudent decision, as sometimes the problem lies less with the marketing and more with the product. Investing back into the product itself can reveal a systemic flaw, or an ‘aha moment,’ that, if fixed, can get you back in the game. Twitter would not be the powerhouse it is today if they hadn’t had their own ‘aha moment’ soon after launch. Back in 2009 the company was receiving an impressive amount of buzz, but their user base wasn’t growing fast enough. People would sign up to Twitter, post a few tweets, then disappear. Instead of doubling down on their marketing efforts, Twitter used that money to take a deep dive into the site’s DNA. After conducting extensive testing on user experience, the user interface, and user behavior, they discovered that first‐time users were much more likely to become regular users if they followed at least 10 Twitter accounts after signing up. This ‘aha moment’ encouraged the company to restructure their onboarding platform accordingly. When you can’t beat ‘em, join ‘em. Or buy them. Buffer is a popular social sharing tool that enables users to easily schedule social media updates. Rather than wrangling users via more traditional methods like advertising, Buffer decided to take advantage of another product’s success. In 2012 they purchased Digg Digg, an established floating share bar, and added their Buffer button to Digg Digg’s widget. Because Digg Digg users already trusted the product, they were less hesitant to click on the new button. Now Buffer has over two million registered users. Austin Allred, co‐founder of the crowdsourced newsroom Grasswire, made a brilliant discovery while trying to gain Instagram followers. Allred calls it the “follow like like like” hack, and it increased his follow‐back rate to 25%. After employing the hack for one week, he amassed over 10,000 followers. Another Austin Allred discovery is the Twitter Hack, which makes it easy and efficient for businesses to find potential customers. Let’s say you sell beard oils. To smoke out potential beard oil customers, you might navigate to a competing brand’s Twitter account and follow all their followers. This, however, would bog you down with spam accounts. 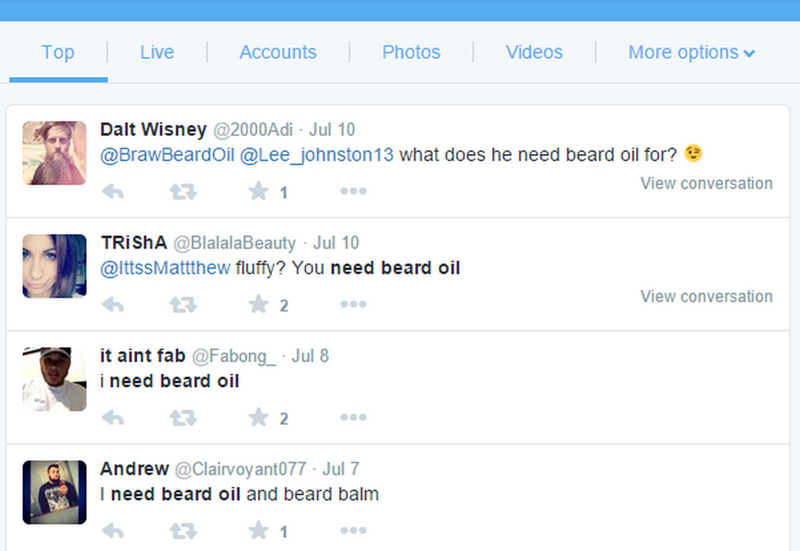 Another strategy would be to search Twitter for “beard oil,” but the results would be populated with idle talk of beard oils and tweets from beard oil companies, and take ages to sift through. Similar to the Acquisition Hack, but not quite as Darwinian, the Integration Hack incorporates another business’s product, service, or API into your own. As a startup, this hack can leverage the other business’s existing user base and piggy back on their credibility. 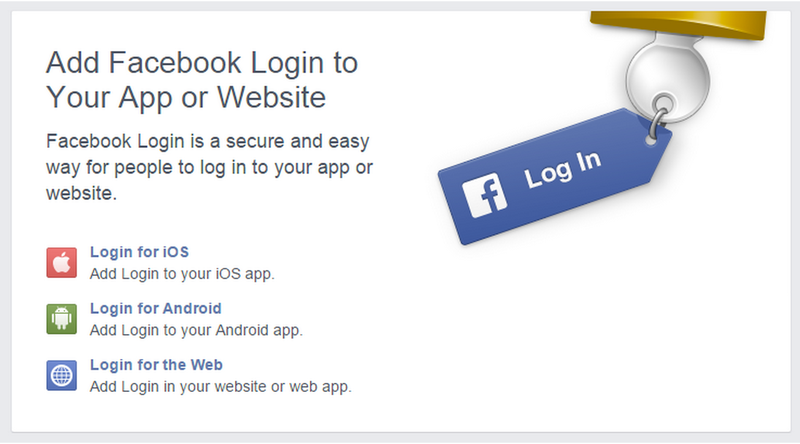 Perhaps the most prominent use of the Integration Hack is the Facebook login. When Facebook made their API available to developers, websites began integrating Facebook’s login API into their own platform. This not only streamlined the onboarding process, it empowered websites with legitimacy by affiliating their product with an established and trustworthy brand. Building an extensive email list is an important first step toward acquiring customers, but if users are not expecting to be “sold to,” a cold sales email can scare them off. The Pretargeting Hack warms users up to your product before hitting them with that first email blast. Facebook and Twitter both offer powerful pretargeting services. After signing up, you can upload your list of emails. The platform then populates each contact’s Facebook or Twitter page with ads for your product. To pretarget using Facebook, you’ll want to utilize their Custom Audiences service. For Twitter, it’s Tailored Audiences. Marketers would be hard‐pressed to come up with a word more important than “more”. More views, more traffic, more users, more customers, more conversions. More everything. The Viral Sign‐Up Form Hack serves the God of More by multiplying the amount of people who fill out your website’s signup form. Instead of encouraging users to sign up individually, you can capture multiple sign‐ups in one fell swoop by incentivizing the sign‐up process. To make your signup form go viral, set it up so that those who share your landing page with a specified number of friends receive a reward. Maybe they’ll be added to your launch list. Maybe they’ll get to move higher up on the wait list. Maybe whoever shares your landing page the most receives a discount on the product, or a sneak peek at new features. If you don’t want to code this all yourself, check out Viral Sign‐Ups or KickoffLabs Viral Signup Form Plugin. Cynicism is one of a marketer’s worst enemies, and as consumers grow more savvy of corporate marketing tactics, their shells of cynicism harden. Brutal honesty, however, can serve as a powerful solvent. According to Neil Patel, “Transparency is the new marketing,” and though it might sound counterintuitive to traditional minded PR people, letting it all hang out can work wonders for a startup trying to climb their way out of obscurity. This is because maintaining an open and honest relationship with customers builds trust and credibility. It shows the consumer they’re valued and respected, and in turn, that value and respect has a far better chance of being reciprocated. Yet again, Buffer provides us with another great example. Transparency has always been one of Buffer’s corporate values, and in 2013 they walked the walk by publishing a blog post of the names and salaries of all of their employees. Not only did the move get the attention of the media, but it doubled the number of job applications to Buffer received for open positions. Want to know how Dropbox permanently increased their signups by 60 percent? Anyone who signs up to Dropbox is given the opportunity to refer a friend. If you successfully refer a friend, you receive more free storage space. This, of course, encourages Dropbox users to become referrers and spread the holy word of Dropbox throughout the land. But what about the referees? What motivates them to sign up? Dropbox anticipated this little hiccup, and offer referees a similar incentive: If they sign up to Dropbox using their friend’s referral link, they too receive extra storage space. Writers are often told that good writers “show, not tell.” The same sentiment can also hold true for businesses. Let’s use the live chat software company UserLike as an example. UserLike wanted to offer their customers a mountain of features and benefits, but were concerned that all that information would overwhelm potential customers. To combat any sensory overload, the company decided to show visitors everything their product offered by building a Try It Yourself widget and inserting it at the bottom of the homepage. Using this feature, visitors can paste any URL into the bar and UserLike will simulate how its software will function on that website. UserLike found that visitors who used the Try It Yourself bar stay 40 percent longer on the website and are 24 percent more likely to sign up. More often than not, the most effective strategies are the most simple. How likely is it that you would recommend my brand/product/service to a friend or colleague? (Based on a 0–10 scale). What’s the most important reason for giving us that score? The reason the Net Promoter Score works so well is because it sneakily cuts down on the number of actions the customer must take in order to arrive at your desired destination. At first the customer only sees one question. Simple enough, right? When the second question appears, the customer feels a sense of obligation to answer, having already answered the first. And if the customer gave a 9 or 10 rating, they are much more likely to accommodate the automated email’s request. For Net Promoter Score software, try Promoter.io. To learn more about it, read this post. LinkyDink is a link‐sharing tool for teams, where those who subscribe to a particular group receive a daily email, curated by group contributors, with that day’s links. While LinkyDink certainly makes link‐sharing more efficient, Product Hunt’s Ryan Hoover saw untapped potential. Product Hunt is a community of product‐lovers, with new products featured every day. When Hoover first thought of Product Hunt concept, he decided to avoid coding his own website, and jumped on LinkyDink to create the Product Hunt group. Within two weeks over 170 people were subscribed to the group, and soon Hoover had a big enough user base to make investing in ProductHunt.com worthwhile. After going through all the trouble of funneling users to your landing page, the page better stick the landing. Your landing page should incorporate elements proven to positively affect customer conversions, such as catchy, concise headlines, consistent design, a simple call to action, and trust markers. However, no one landing page is 100 percent effective. To maximize conversions, consider building a landing page that adapts depending on the customer’s awareness level. A customer’s awareness level refers to how much they know about your product. Describing the benefits of your product to someone with a low awareness level might prove ineffective without first explaining what your product is. But explaining your product to someone with a high awareness level might cause them to lose interest. Using this hack, a visitor with a low awareness level would see a different landing page than one with a high awareness level. So how do you determine the awareness levels of your customers and match your message to their behavior? Use Google Analytics to establish the number of new vs. returning users, which pages they bounce from, which keywords they search for, and how long they stay on your page. 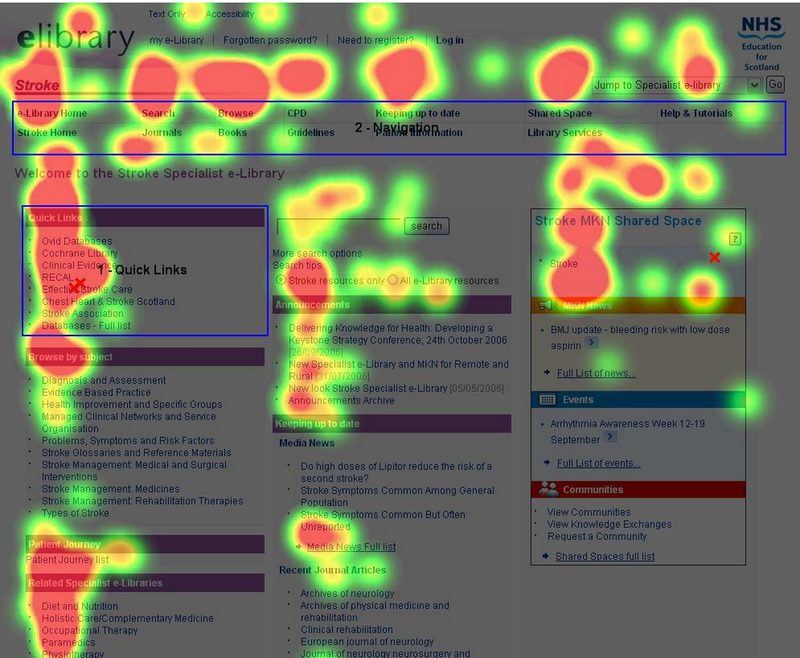 Use Heat & Scroll Maps tools like like CrazyEgg or ClickTale to visualize the most engaging and least engaging parts of your landing page. Where are users spending most of their time? Is one piece of copy getting a lot of attention while another falls flat? With this data in tow, you can start to draw conclusions. Maybe the majority of visitors who arrive to your page via Facebook ads are new users, have high bounce rates, and look at the headline but ignore the content. Knowing this, it’s a good bet that visitors from Facebook have low awareness levels. After successfully implementing this hack, you’ve earned the right to wear a white lab coat on Halloween and answer “blogger” when someone asks what you are. Download Import.io and create a crawler. When activated, the crawler will scour your blog and extract every last morsel of potential data and metadata. Then export this data to a Google or Excel sheet. Upload the sheet’s URL list to SharedCount and it will measure the social impact of each post. Export the SharedCount data and combine the rest of your blog’s data using VLOOKUP. This process will yield a heap of valuable insights, such as the most popular authors, the optimal publishing time, and the most shared topics. It’s one thing to build an email list. It’s quite another to get users to actually read them. We can only read 25% OFF!! and LAST DAY TO SAVE!! so many times before chucking our computer out the window, but what if an email actually gave us something rather than sell us something? SquareSpace, for example, offers you an extension on your free trial, no strings attached. Dropbox will sometimes increase your storage space for free. HostelWorld adds money to your account. Random (or seemingly random) acts of kindness not only encourage users to continue using your product, they make you more inclined to open any subsequent emails. If their last email gave me more storage space, I wonder what this one is offering? Your business might be your life, but to a customer, your business is just one of many. That’s why it’s important to remind your customers of who you are and what you stand for. Conclusion: Is there really such a thing as growth hacking? After weeks of researching growth hacks, I must beg the question: Is there really such a thing as growth hacking? Yes, there’s hundreds, if not thousands, of articles on the topic and even niche communities built around this term; but really all growth hacking is, is creative marketing essentially. I call it creative marketing instead because, in my mind, growth hacks are supposed to be easy and time‐efficient, but none of the “hacks” I found during my research were all of the above: cheap, time‐efficient and/or easy to execute. What growth hacking, smartcutting or whatever the hell you want to call it comes down to is thinking different — thinking outside of the box. So I’ll let you decide for yourself… Is there such a thing as growth hacking? Or is it really just creative marketing? Tell us in the comments below.